Cersosimo Lumber Company owns and operates Hardwick Kilns located in Hardwick, Massachusetts. Hardwick Kilns is a state-of-the-art custom kiln drying operation with an annual throughput of 12,000,000 board feet. 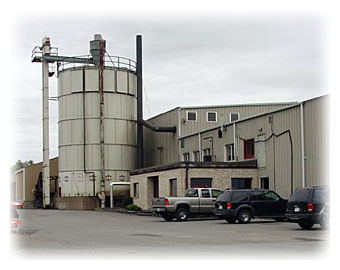 Hardwick Kilns is manned by a seasoned, NEKDA-certified staff and is equipped with the finest equipment and most up-to-date technology to provide the customer with the highest possible quality of service. Hardwick Kilns is a recognized leader in the industry and is considered the authoritative sources for a wide variety of kiln drying applications. From single trailer loads, to multi-million board foot programs, from hardwood, to softwood, to exotics, from 4/4 to 12”x12”, they are best choice for high quality kiln drying services.